Wow… it has been a busy week! With two major events (Christmas Junkers United and 12 Days of Christmas), things have been hopping around here. 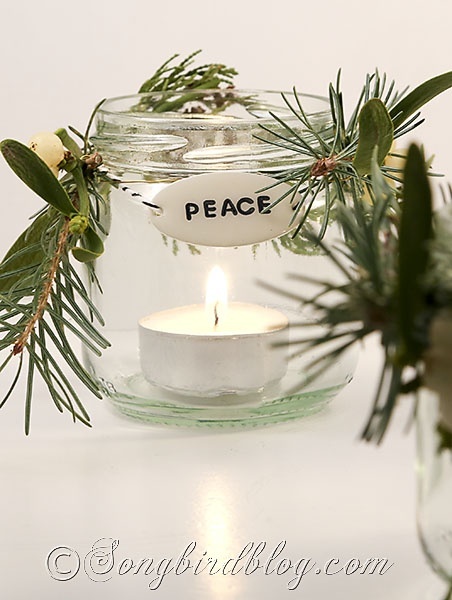 Marianne had her work cut out for her when she needed these bottles for this gorgeous candle project for 12 Days of Christmas. 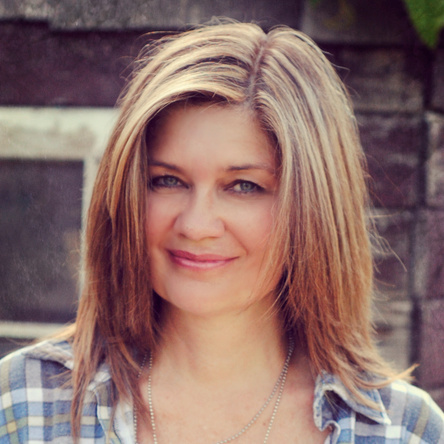 Read her inspiring, hilarious adaption on how it all went down. Literally. 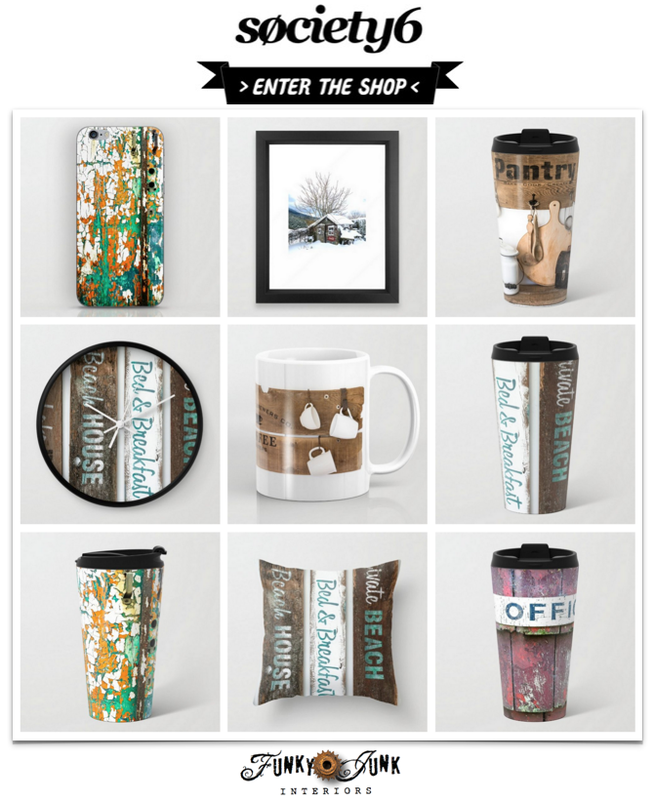 When nature and mason jars team up, this is what transpires. Simple perfection. Angie has been at it again with her amazingly staged creations. These vintage baking tins on a signed board are adorable! 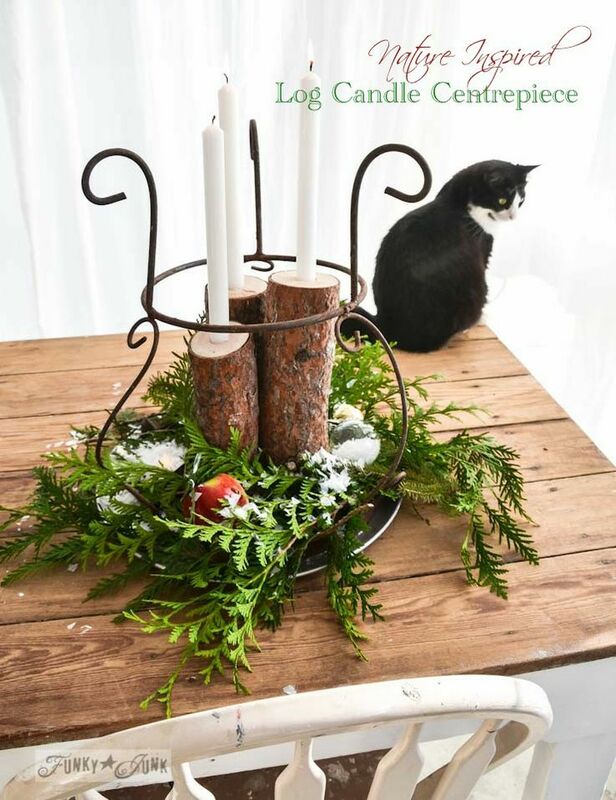 Doreen’s inspiring Christmas home tour will have you gasping! Part of that tour was this adorable mason jar in a coke crate display. Isn’t it perfect on an aqua table surface? Also so in LOVE with the mix of greens and the sand in the jars. So stunning! When Angie won this chicken feeder at an auction, she realized it would be the perfect size for candles. A few clay pots and evergreen cuttings later, this was the outcome. Year around stunning! Challenge Breida to pull off a salvaged junk creation, and she whips up this masterpiece out of a reclaimed board, and metal cloth. Yes, she hand made that metal basket. The link offers an outstanding tutorial. 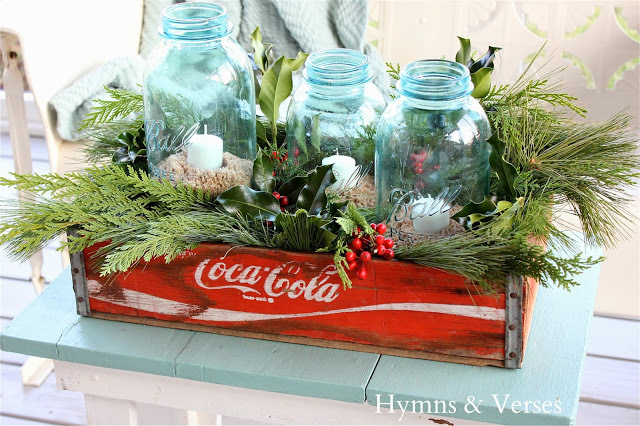 Have you created any salvaged junk Christmas candle creations this year? Link up your favs in this weekend’s third themed linkup! Your gear Christmas tree tea light thing looks pretty cool. Love those funky pine cones on it too. Much more textural looking than the boring ones I have in my yard! Oh, I’m loving those stacked gears! I linked up the first stage of my decorating this year in my bathroom, of all places. Also have a candle in there that i covered with birch bark for my parents tree…love it! Love,Love,Love these. So many great ideas! Which one to use..hmm??? Thanks so much for hosting Donna! 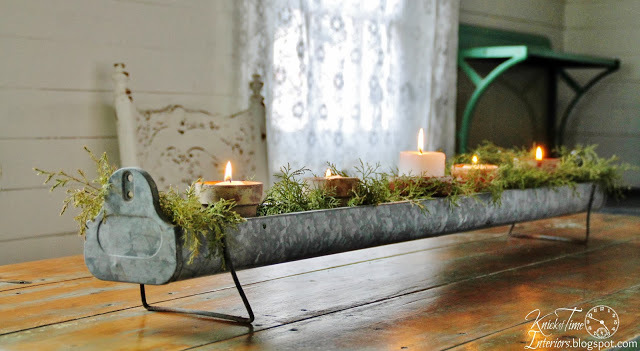 The salvaged candle holders inspiration is stunning!! I see candles in a whole new way! Thanks for hosting such a fun party. 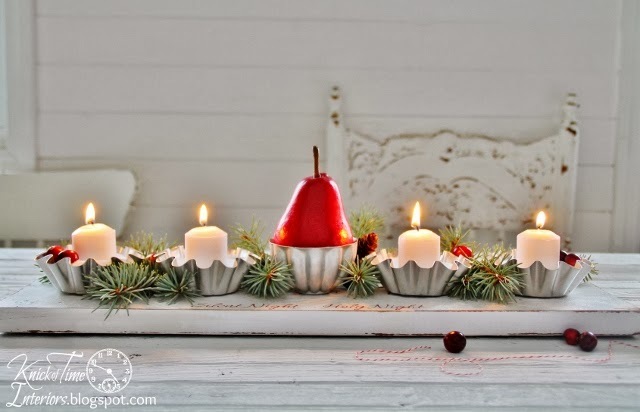 I am loving every single one of these candlescape ideas! (And am looking fwd to seeing what new candle ideas get linked up too! Thanks for hosting! Thanks for hosting Party Junk Donna. Love checking out the great posts as well as joining in. Have a great week. Your stacked gears tree is unique and amazing. Thanks so much for hosting such a fun party! There’s always so much great inspiration here. I love what you do. I wish I could visit and meet you and see your creations. You absolutely inspire and intrigue me. Thanks for hosting the parties and for sharing your creativity. 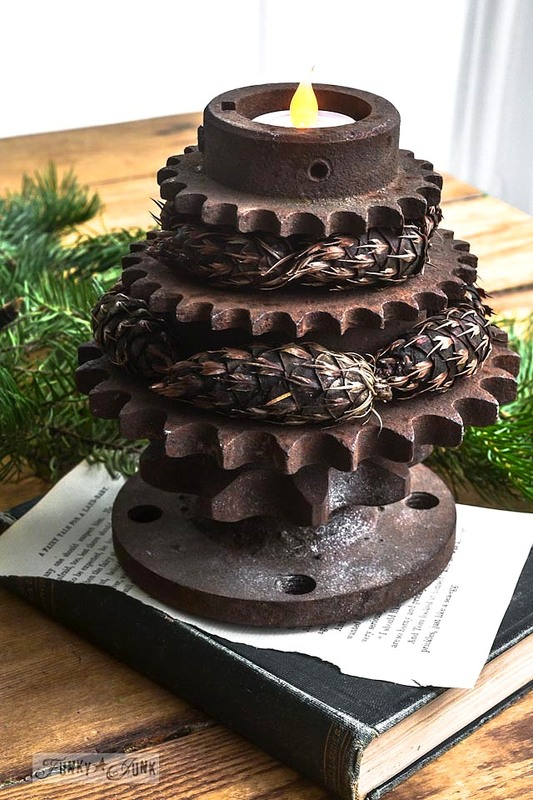 Love the stacked gear candle holder, and all the great candle inspiration this week! Thanks so much for the party, Donna! 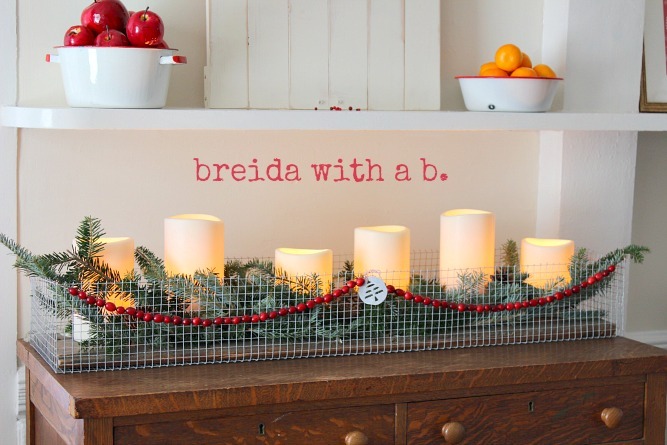 Definitely checking out how to make that metal mesh basket. Oh junk love, what will you all come up with next?! PS Those pinecones on your stacked Christmas gears are so cool looking! Thank you for hosting Donna!! Love your gear tree! 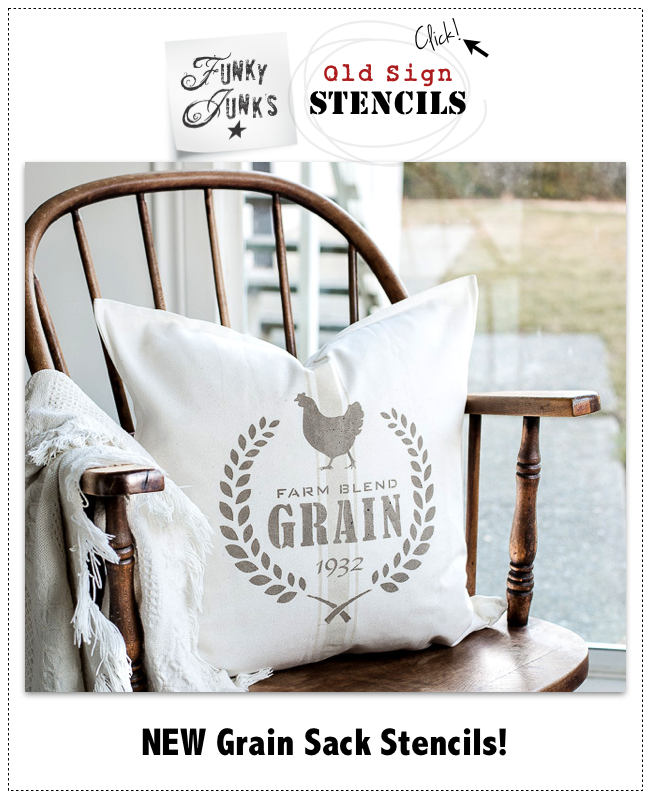 Wondering if my husband would part with a few, so I could do something similar! Thanks for hosting. I linked up my insulator chandelier. Have a great weekend! 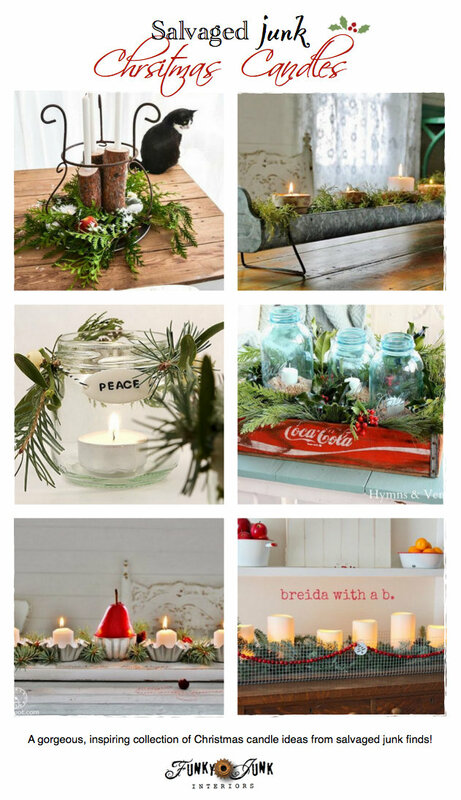 I truly enjoy and hope to try to make some of your DIY decorations. You are very talented. Thanks for hosting, Donna. 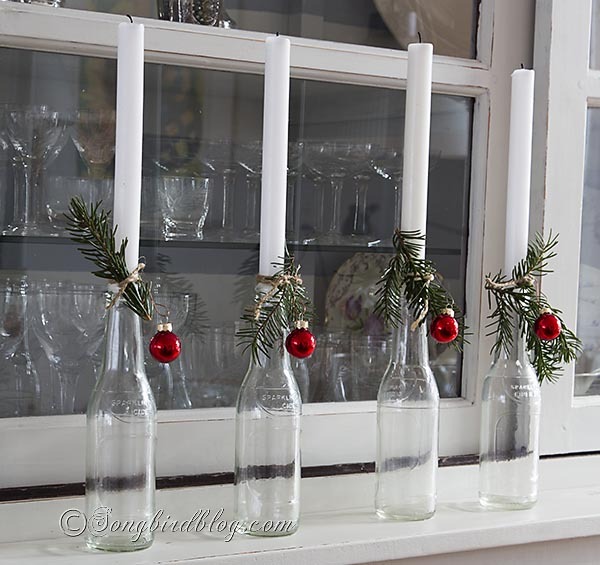 I love repurposed or junk candle holders and have used a few of the ideas this year. I need to find some old gears because your stack is brilliant!